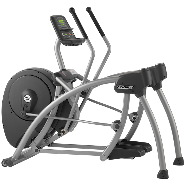 Cybex arc trainers, like ellipticals are cardio machines that eliminate the shock of running. 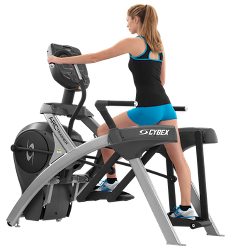 Cybex arc trainers are created for the most demanding users in the most demanding environments. 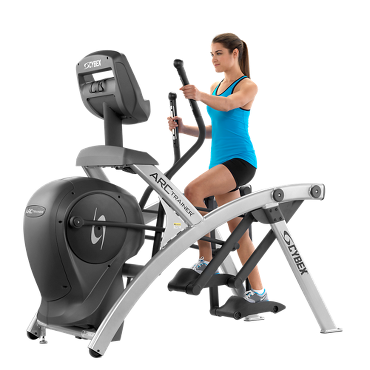 Their versatility also makes them the exercise machine of choice for beginning cross trainers. As the name implies when you exercise on a Cybex arc trainer your foot moves in an arc, rather than an ellipses. 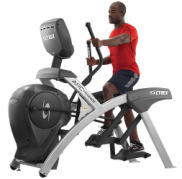 Cybex arc trainers with their unique design optimize muscle loading while minimizing joint stress. An arc trainer specifically designed to be gentle on joints and efficent at burning calories, with the durablity and stability you expect from Cybex. THE PERFECT HOME FITNESS TRAINER. 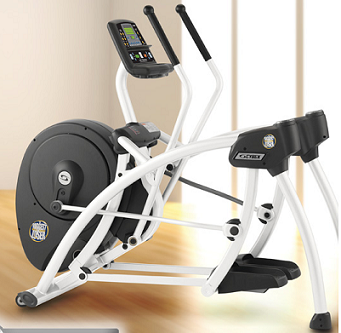 The Cybex 362A "Biggest Loser" Arc Trainer has in a much smaller footprint specifically for your home. 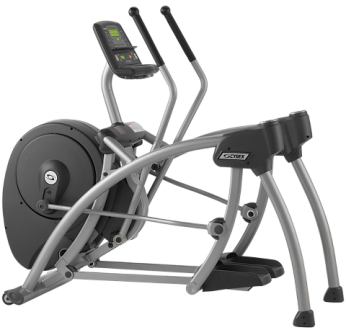 Cybex Arc Trainer 362A - "The Biggest Loser"
The "Biggest Loser" arc machine has a small footprint that packs a big punch in terms of versatility, usability and effectiveness.